Spray paint isn’t just for graffiti anymore – imagine transforming a whole side of your house into a huge solar panel just by spraying some ink on. It could be a reality in just a few years. Researchers at the University of Texas are working on a method that would make photovoltaic cells much cheaper while allowing them to be sprayed onto virtually any surface. 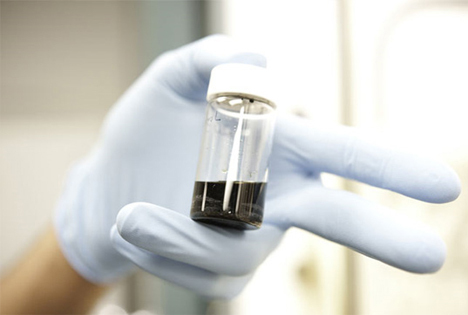 The new technology would use nanoparticle “inks” to capture solar energy and turn it into electricity. The tiny photovoltaics contained in the inks are made of copper indium gallium selenide (CIGS), sun-absorbing particles 10,000 times thinner than a strand of human hair. They are formed into a solution and sprayed onto a substrate, such as sheets of plastic or stainless steel. Existing solar cell harvesting technology is so expensive that it’s often cheaper to just use fossil fuels. 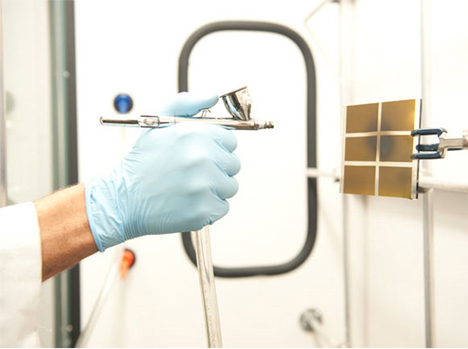 The team developing this new technology aims to change that by making their spray-on solar collectors much less expensive than conventional silicon photovoltaic cells. The technology will require more work before it’s available commercially, though: currently it only converts 1% of the sunlight that reaches it into electricity. The team’s goal is to raise that conversion rate to at least 10% before the “inks” can be made available. Still, the team expects to have the technology on the market within three to five years.